As seen on Home & Garden TV! In 1976, William Leslie apprenticed to Stephen White, an architect who had developed a unique form of ‘lightsculpture’ made from thin strips of wood bent into a frame then covered with paper soaked in polyvinyl resin and internally by incandescent light bulbs. Most of William’s designs are inspired by natural forms. 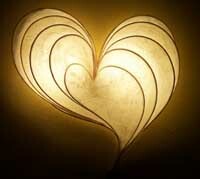 William’s Lightsculptures have shown in Hawaii, Chicago and California. His work has been used on the stage of the American Musical Awards and in the film Star Trek: Generations. He’s been featured in the Dec. 2003 issue of The Robb Report and appeared on HGTV, the Carol Duvall Show episode #1618, since May 2004. Recent commercial installations include Market Lofts downtown Los Angeles, Iron Wok China Bistro in Temecula and in San Ysidro, Stingaree, downtown San Diego, Bliss Restaurant in Beverly Hills, Zov’s Bistro in Irvine, Tustin and Newport Beach and Irvine Fine Arts Center. In 2007, William's wife Alessandra, an eclectic mixed-media artist and Expressive Arts Therapist, joined him in creating Lightsculptures, adding colors and exploring new possibilities. 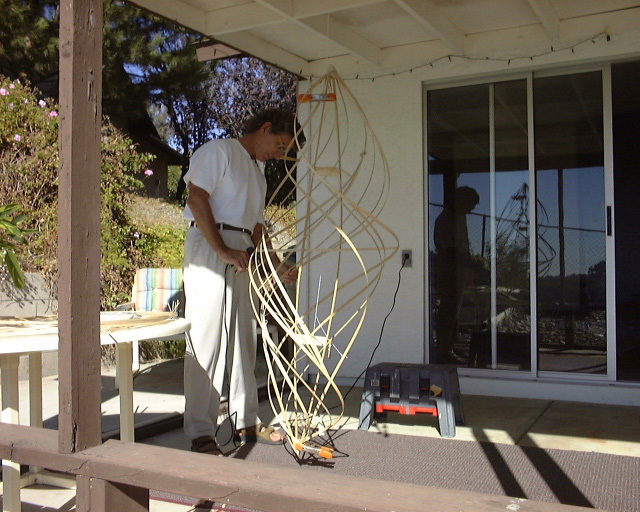 One of William's Lightsculptures was a finalist in the 2004 Spertus Museum (University of Judaism, Chicago) Competition for representing Ner Tamid, the Eternal Light, which is now powerfully and gracefully hanging as a symbolic beacon at Palomar Unitarian Universalist Fellowship in Vista, CA. William’s work is available also at Mixture in Little Italy, Trios Gallery on North Cedros, and Gallery of Functional Art in Santa Monica - Bergamot Station. William Leslie’s background includes degrees in physics and philosophy. He served as an infantry soldier in Vietnam and as a Peace Corps Volunteer in India. 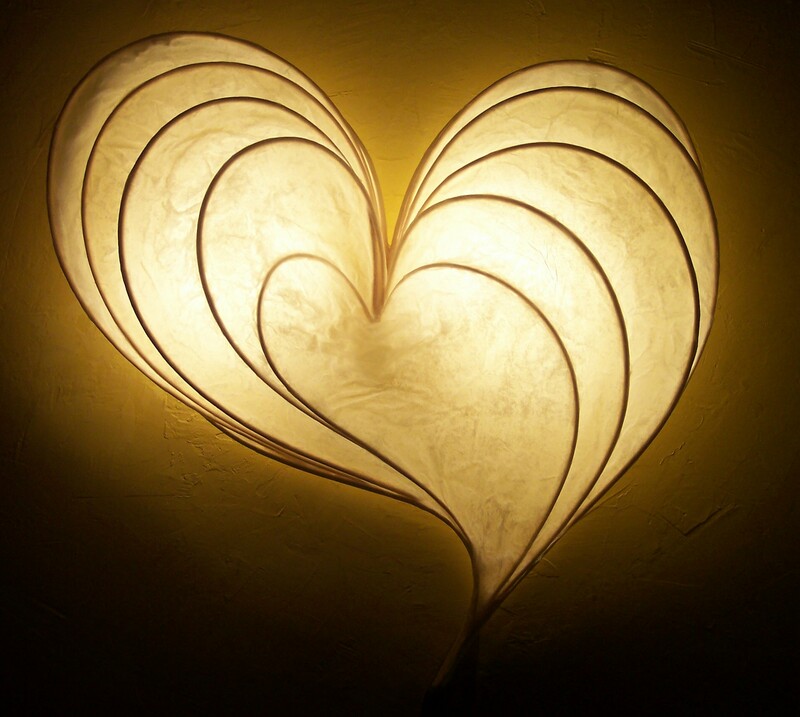 Presently, he teaches philosophy at Palomar College in the San Diego area and maintains a small studio in his home designing and producing “Lightsculptures” with his wife Alessandra for homes, restaurants, hospitals, businesses and religious institutions throughout the country.